Authorities in Indonesia raised the death toll from floods and landslides in the easternmost province of Papua to nearly 80 on Monday as President Joko Widodo called for the urgent evacuation of victims from devastated communities, Reuters reported. Flash floods in Indonesia's eastern Papua province have killed at least 58 people, an official said Sunday, as rescuers battled mud, rocks and fallen trees in the hunt for survivors, AP reported. 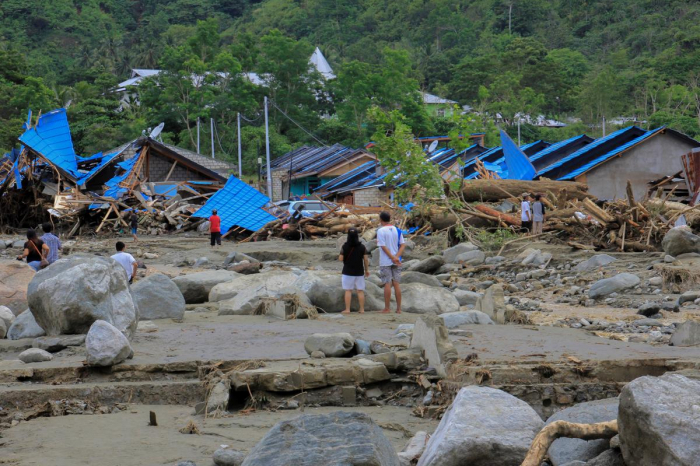 The disaster in Papua province's Jayapura district submerged hundreds of houses in neck-high water and mud, said National Disaster Mitigation Agency spokesman Sutopo Purwo Nugroho. The floods and slides also destroyed roads and bridges, hampering rescue efforts. "We are overwhelmed by too many injuries," said Haerul Lee, the head of Jayapura health office, adding that some medical facilities had been hit by power outages. "We can't handle it alone." Papua's provincial administration has declared a two-week emergency in order to get assistance from the central government.